Mary Grey was the youngest of the three Grey sisters, the other two being Jane and Katherine. Jane would reign as Queen of England for about ten days and Katherine would make an ill-fated love match that resulted in her imprisonment and early death. Although Mary was short of stature, she was as well- educated as her sisters, intelligent and resolute. Because of her physical smallness and possible deformity, she was not considered a serious threat to the throne. She may have considered using this to her advantage. Mary was born c. 1545, most likely at the Grey family home of Bradgate House in Leicestershire. Her father was Henry Grey, Marquess of Dorset (later Duke of Suffolk) and her mother was Frances Brandon. Frances was the daughter of King Henry VIII’s younger sister Mary and Henry’s best friend Charles Brandon. 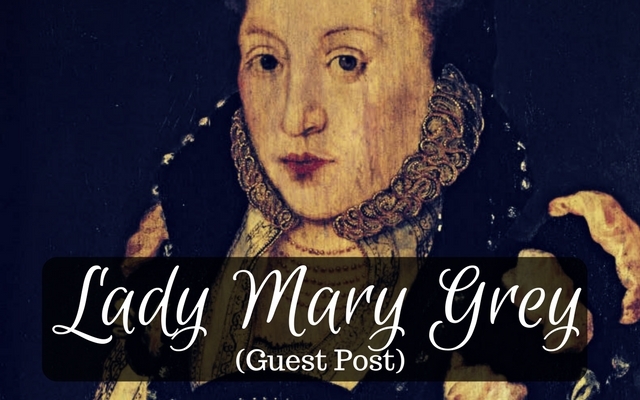 This relationship made Mary and her sisters potential heirs to the throne of England. Mary never fully grew to normal size. She may have been a dwarf because later in life, she was described by a chronicler as crook-backed and ugly. But she did display a warmth of personality and a strong-will. The early life of the Grey sisters could be described as idyllic. Bradgate had extensive gardens where the girls could walk and play. Their mother loved to hunt and the girls could have observed and even participated in the hunts in the woods surrounding the castle, riding on horseback. Mary would have been taught cooking, sewing, dancing, music and how to run a household. Female education was encouraged and popular in the Tudor era and the Greys gave their girls the finest humanist education. The Grey family were fervent proponents of the new Protestant religion and Mary, Jane and Katherine grew up to be disciplined and obedient. In 1553, King Edward VI was extremely ill and it was increasingly apparent he was dying. Whether on his own volition or due to the influence of his mentor, John Dudley, Duke of Northumberland, Edward drew up a “Device for the Succession” which aimed to overturn King Henry VIII’s stipulations for his succession. Edward was Protestant and was concerned his Catholic sister, the Lady Mary, would return England to Catholicism. In an effort to avoid this, he changed the succession to fall to the heirs of Frances Brandon. It was unlikely Frances would have any more children and she only had three daughters. In Edward’s mind, Jane was his successor followed by her sisters Katherine and Mary. Arrangements were made between the Grey family and the Duke of Northumberland for a series of eight marriages. 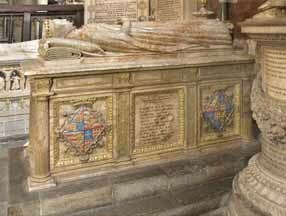 These included Jane’s marriage to Northumberland’s son Guildford, Katherine Grey to Lord Herbert and on May 21, 1553, Mary was betrothed to her much older relative, Arthur, Lord Grey of Wilton. The first two marriages did take place but Mary’s didn’t. King Edward died in July and Northumberland, Mary’s father and others proclaimed Mary’s sister Jane Queen of England. But the Lady Mary had something to say about this. In a bloodless coup, Mary was proclaimed Queen of England and Jane became a prisoner in the Tower of London. Mary’s mother Frances went to Queen Mary and begged forgiveness for her family and the Queen was inclined to be lenient. Jane languished in the Tower, hoping for a pardon. She may have eventually been released but her father joined a rebellion against Queen Mary. This was the last straw. Jane and Henry Grey were both tried, found guilty and executed. This would significantly impact Mary, her mother and her sister Katherine. The attainder and execution of her father brought Mary’s betrothal to an end and ruined Mary’s marital prospects and her ability to earn a large inheritance. Frances lost all her property and she and the girls went to live at Beaumanor in Leicestershire. Six months after Jane’s death, in July of 1554, Frances, Mary and Katherine were back at court. Property and income were restored to Frances. Sometime in the first half of 1555, Frances married a man of the gentry named Adrian Stokes and left court. Mary went with her mother. From the age of ten until she was twenty, there is very little in the historical record about Mary. In November of 1558, Queen Mary died and her sister became Queen Elizabeth I. At this point, Mary’s sister Katherine was considered by many as a potential successor to Queen Elizabeth. But Katherine made an ill-advised, secret marriage to Edward Seymour, 1st Earl of Hertford in December 1560 without the Queen’s permission. The Queen was furious and separated the couple, keeping them in the Tower at first and later under house arrest. Katherine managed to have two children, making the Queen even more outraged. Due to Katherine’s separation from her husband, she fell into a depression and died an unfortunate death in January of 1568. Katherine’s death put Mary one step closer to the throne. Mary may have taken a cue from her sister Katherine. Mary’s mother Frances died in 1559. Mary walked in the procession during her mother’s funeral. She co-inherited several of her mother’s baronies in Warwickshire, Lincolnshire, and Nottinghamshire giving her an income of £20 per annum. She also became a maid of honor to Queen Elizabeth and earned £80 per annum. And she fell in love with Thomas Keyes. Keyes was a former soldier and held the post of Sergeant Porter at court where he would have been in charge of palace security. These a posts were only given to trusted and loyal servants. He was twice her age and had several children from a previous marriage. He was also of above average height, maybe as tall as six feet, eight inches. They must have made an unusual if not comical appearance together. Mary would have seen him frequently at the gates of the palace. Keyes courted Mary in a conventional manner, giving her gifts such as a ruby ring and a gold chain with a charm of a bottle made of mother of pearl. There was a great risk in the courtship as it was conducted without the Queen’s knowledge. Mary may have hoped she could marry a man of lower rank like her mother did when she married Adrian Stokes. As her sister Katherine languished under house arrest, the couple waited for the perfect moment to marry. The Queen was exasperated by a request from her council that she consider a claim to the throne by Katherine Grey. Mary and Keyes were married in secret on August 10 or 12 of 1565. While the Queen was away a Durham House for another marriage, Mary and Keyes planned to celebrate with a few friends. After the Queen left Whitehall for the other wedding, Mary remained and had supper in her room with a few of her cousins. She then sent for a servant girl named Frances Goldwell to come to her and witness her wedding. By using a woman of lower class as a witness, Mary hoped to keep her friends of higher rank safe from punishment. They sent a messenger to Keyes that they were ready. Keyes appeared and they all went to his private chamber over the Watergate. It was now about nine in the evening. There were a dozen friends in the room and a priest. The ceremony lasted about fifteen minutes. Keyes gave Mary a small gold ring. The party dined on wine and banqueting meats. When everyone left, Mary and Keyes went to bed. It didn’t take long for Queen Elizabeth to learn of the marriage. Rumors were rampant by August 21. She was angry in the extreme and ordered Mary and Keyes be thoroughly interrogated and then imprisoned. Mary went to Windsor and Keyes was held in London. Mary was in the guardianship of the High Sherriff of Buckingham, Sir William Hawtrey. He was a friend of the Grey family and has just completed construction on his new home at Chequers. Restrictions on Mary were quite onerous. She was kept in a twelve foot room at Chequers, still called “the prison room” to this day. There are faded vestiges of drawings and inscriptions she made on the walls of the room. Queen Elizabeth had taken all of Mary’s revenues from her property and she only had a small allowance that wasn’t enough to cover her expenses. Mary was not permitted to see anyone and was only allowed out into the garden no more than was necessary for her health. She had one groom and one waiting woman. She was given what would be considered prison food for her diet. 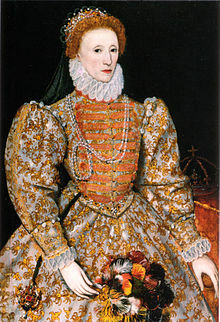 Mary wrote letters to Sir William Cecil imploring his help in restoring her to the Queen’s favor. Keyes had the worst of the punishment. He was sent to the notorious medieval prison the Fleet and put in solitary confinement. His large frame was crammed into a small room creating physical pain and agony. One of his jailors was cruel to the extreme, not allowing him to prepare his own food or use his slingshot to kill birds to eat and serving him rotten meat. Keyes agreed to an annulment of the marriage, possibly at Mary’s prompting. He only asked to be allowed to retire to his home in Kent. But the Bishop of London refused seeing no need to make the marriage invalid due to the presence of so many witnesses. The Bishop did feel very sorry for Keyes and requested he be released from the Fleet and allowed to take the country air. This was refused. The Bishop then asked if he could at least be allowed to walk in the gardens of the prison. Elizabeth agreed to this but it only lasted for a short time and he was forced back into his small quarters. Keyes would be released from prison in November of 1568. He was given a job at Sandgate Castle near his home in Kent. He sent requests to the Queen for permission to live with Mary but Elizabeth did not allow it. In August of 1567, Mary was sent to live with her step-grandmother Katherine Willoughby. Hawtrey was so anxious to deliver her, they surprised Katherine and she wasn’t ready. They then moved to Greenwich. Katherine reported that Mary was depressed and was refusing to eat. Mary had very little in belongings and they begged the Queen to send some things to help out. In June of 1569, she was transferred to the care of Sir Thomas Gresham in Bishopsgate in London. Sir Thomas was half-blind and in constant pain from a broken leg that was badly set. His wife did not like Mary’s presence in her home and harassed her husband to move her out. Mary spent most of her time in her room reading her small collection of books. Gresham sent numerous letters to Cecil asking her to be moved. In the late summer of 1571, Thomas Keyes died due to the ill health of being imprisoned. Mary’s physician Dr. Smith arrived at Gresham’s house on September 8 to deliver the news to Mary. She took it very hard. She asked for permission to raise her step-children and to wear mourning. Soon after this, Mary was moved to one of Gresham’s country homes, Osterley in Middlesex. After a month of grieving, Mary wrote to Cecil, now Lord Burghley asking for a pardon and for her freedom. With Keyes death, Mary thought the Queen had no need to be displeased with her. Her anger over her husband’s death made her more difficult to deal with as a prisoner and Gresham frantically wrote again and again asking for her removal. In 1572, Mary asked for money and Queen Elizabeth reluctantly agreed to raise her allowance. Then, in the summer, Mary was finally given her freedom. Upon her release, she went to live with her mother’s second husband Adrian Stokes and his family at Beaumanor. Stokes new wife, Anne Carew, had known Mary since she was a child and was delighted to have her in her home. By February of 1573, Mary had enough money to acquire a house and set up housekeeping. She hired several servants and furnished it adequately. It wasn’t a grand home like she was used to but it was her own. She took her carriage out on a regular basis to visit friends and family. She became close to Keyes daughter Jane Merrick and acted as god-parent to her daughter. She remained in contact with her brother-in-law, the Earl of Hertford and his sister Lady Elizabeth Seymour and received news of her nephews. She nurtured contacts at court, especially with the Queen’s ladies-in-waiting in hopes of returning to royal favor. In January 1574, the Queen accepted Mary’s New Year’s gift. The next year, the Queen restored some income from her mother’s lands and Mary was able to buy proper clothing and some jewelry. Mary displayed an interest in the works of a Presbyterian writer and in some of the radical preachers in London but was careful to avoid any controversy regarding religion or the succession. Mary’s rehabilitation was complete in 1577 when she was appointed Maid of Honor to the queen although she was required to use her maiden name as a condition. She participated in the Christmas celebrations at Hampton Court and as a New Year’s gift, she gave the Queen a pair of ornately decorated gloves. Shortly after New Year’s 1578, plague broke out in London and Mary fell ill in April. She drew up her will on the 17th leaving various items to her relatives and servants. She died on April 20th. The burial was performed on May 14 after a stately procession brought her body to Westminster Abbey. The Queen had Mary’s remains placed in her mother’s royal tomb. 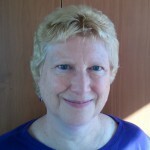 Susan Abernethy here. It seems I can’t remember a time when I didn’t love history. At the age of fourteen, I watched “The Six Wives of Henry VIII” on TV and was enthralled. Truth seemed much more strange than fiction. I started reading about Henry VIII and then branched out into many types of history. This even led me to study history in college. Even though I never did anything with the history degree, it’s always been a hobby of mine. I started this blog to write about my thoughts on all kinds of history from Ancient times to mid-20th Century. Please feel free to have a look around. ← Free Tudor Summit Online – This Weekend! Elizabeth was a horrible woman that she would not allow both the Lady Catherine and the Lady Mary Grey to wed. Frances Brandon, Duchess of Suffolk may have wed Adrian Stokes but she did during the reign of Mary the First, Queen of England. Mary the First would never have imprisoned the Lady Catherine and the Lady Mary Grey for wedding. Do you suppose that Queen Elizabeth I was in so fragile a hold on the throne that she simply could not tolerate her cousins baring children and having a life she could not have? Most adults don’t engage in punishing other relatives for normal human behavior such a marriage and having heirs…..Who was her council and why would they cause such doubt in the Queens mind?